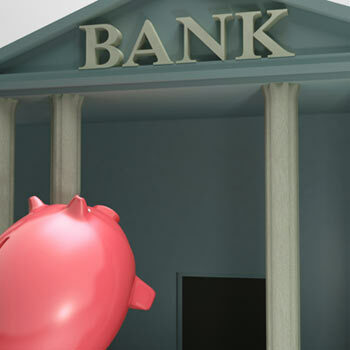 Trust has yet to return to the banking sector six years after the start of the financial crisis. Consumers are still wary and scores for both regional and global sectors remain below pre-recession levels. Regional banks do score ahead of their global counterparts on trust and also score better for meaningful differentiation. However, this is often a reflection of the more favourable ratings in their home markets and on both scores they still have work to do to recover to pre-recession levels. Tracking of trustworthiness and recommendation for financial brands shows that while regional banks indexed 104, against an average brand score of 100, this was down from 111 in 2008. Global banks fare even worse, scoring 92 in 2014, compared to 101 in 2008 and 94 in 2013. HSBC has been strongly focused on consolidating its operations this year and reports considerable progress in its goal of shedding non-core businesses and investments. Not only does this remove assets that under-perform financially, but also operations where its brand is not as strong as elsewhere. Its priorities remain the growth of international trade and wealth creation, particularly in fast-growth markets such as Asia, the Middle East and Latin America. Wells-Fargo reports impressive results from its community banking operation (up 21%) and is also reported to be expanding in New York. Reports suggest that it has hired dozens of bankers to build links with small and medium-sized local businesses and is also experimenting with smaller branches to maximise retail presence in the city – something which is counter-trend for banks in other mature markets, such as the UK and Europe. Other strong performers include the Commonwealth Bank of Australia which made the biggest climb in the Regional Bank Top 10, up 18% to $21 billion, and Citi and UBS, both up 30% in the Global Bank Top 10 to place at No 2 and No 6 respectively. Both sectors recorded an increase in total sector value, up 6% for regional banks and 15% for global banks, the latter being well above the average rise of 12% rise for all brands. In the regional chart, Chinese banks suffered particularly from the slowdown in China, with the brand value of China Construction Bank down 7% and the Agricultural Bank of China down 9%. “Global banks still have a challenge to build a meaningful connection with consumers and improve trust scores generally. Like many major players in categories that are not yet truly global, they find it hard to compete on trust with more locally based operators. Nevertheless, some progress is being made and the improvements in the global economy have created a more positive climate that could allow bold brands to take big strides in this regard and form a tighter, closer bond with communities around the world,” said Nick Cooper, Managing Director of Millward Brown Optimor. In the global ranking Google overtook Apple to become the world’s most valuable global brand in the 2014 BrandZ Top 100 Most Valuable Global Brand ranking, worth $159 billion, an increase of 40% year on year. After three years at the top, Apple slipped to No 2 on the back of a 20% decline in brand value, to $148 billion. Whilst Apple remains a top performing brand, there is a growing perception that it is no longer redefining technology for consumers, reflected by a lack of dramatic new product launches. The BrandZTop 100 Most Valuable Global Brands study, commissioned by WPP and conducted by Millward Brown Optimor, is now in its ninth year. It is the only ranking that uses the views of potential and current buyers of a brand, alongside financial data, to calculate its value.